Journalist Adam Higginbotham's definitive, years-in-the-making account of the Chernobyl nuclear power plant disaster—and a powerful investigation into how propaganda, secrecy, and myth have obscured the true story of one of the twentieth century's greatest disasters. Early in the morning of April 26, 1986, Reactor Number Four of the Chernobyl Atomic Energy Station exploded, triggering history's worst nuclear disaster. 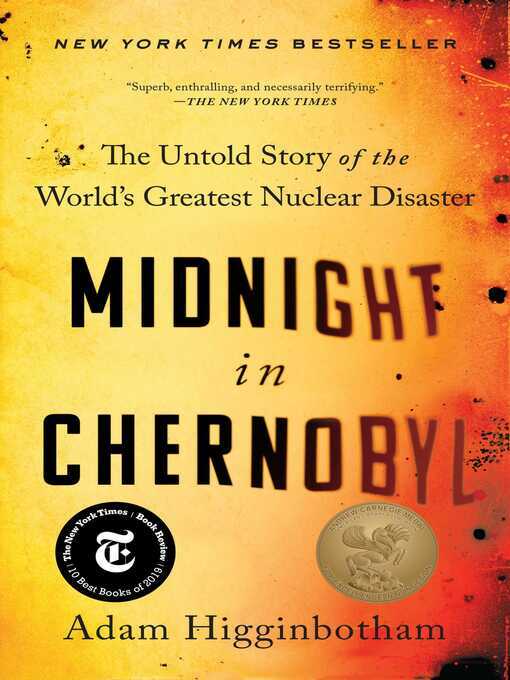 In the thirty years since then, Chernobyl has become lodged in the collective nightmares of the world: shorthand for the spectral horrors of radiation poisoning, for a dangerous technology slipping its leash, for ecological fragility, and for what can happen when a dishonest and careless state endangers its citizens and the entire world. But the real story of the accident, clouded from the beginning by secrecy, propaganda, and misinformation, has long remained in dispute.